Welcome back to “A Case Study on Travel Hacking!” Last week, in Part I, I brought along Mr. Economical Excursionist, who lured me into the Travel Hacking game five years ago. As I mentioned previously, Andy is seriously THE expert in all things travel hacking and has been the motivation, brains and organization behind all of the travel hacking that we have done. So, naturally people always ask us how the heck do we possibly manage all those cards!? Well, here are all the answers! In the previous case study, you said you opened two cards at the same time? Is this typical? In the first few years when we were building up our accounts, we would typically apply for at least 1-2 cards (total) every three months, give or take. As a couple, I would often apply for the best cards available then in three months, LeAnna would get the same cards, for organizational and minimum spending purposes. This way, we were only individually applying for credit cards (and getting hard inquiries) on average every 6 months per person. I would say that this is typical for people who can manage their spending and are wanting to become expert travel hackers who travel frequently. However, not everyone has those same travel goals, so others might only open one or two cards total, earn enough points for a trip or two and be done. Most of those people then just keep that card open and use it for daily spending and can slowly work on building up points the “typical” frequent flyer mile program way. Ok, so you said that you’ve been travel hacking since 2011. How many cards have you and LeAnna gotten over the last 5 years? Since starting, we have opened 65 cards in total! 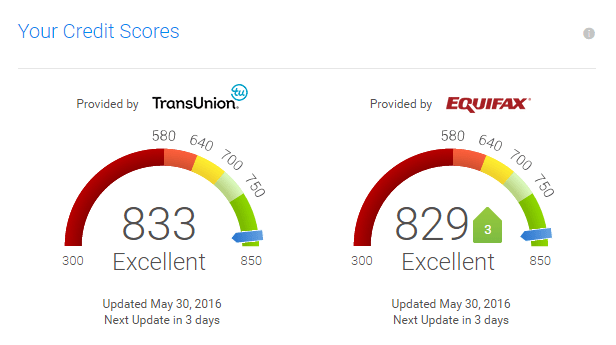 Surely, that has TANKED your credit scores!? Do you ever cancel any of the cards? Do you actively use all 65 cards? Canceling cards, without good reason, is not good practice for many reasons. However, with that being said, we have canceled about half of all of the cards we have opened. If the annual fee is way too high to justify the benefits that the cards provide, then we typically will cancel once it is time to pay the annual fee. Do you actively use all 65 cards? We only use a few cards at a time. We use the card(s) that we are currently meeting minimum spend on. If in the rare case we aren’t meeting a minimum spend, then we only use the card with the best benefits (high daily spending points, no foreign transaction fees, etc). The cards that we aren’t using we simply put in a safe and just let them build our credit scores while collecting dust. Ok, 65 credit cards is a ton. How do you manage all of them!? This is the best way for me to quickly review all my charges to ensure that everything looks kosher. It also helps to see how much I’ve spent to know if I am close to meeting my minimum spend. It also has the due dates for bills. So, if you only have one or two cards, this may actually be the best (and possibly only) tool you really need to stay organized. With so many cards over time, I also implement GoogleSheets and GoogleCalendar. The spreadsheet’s main purpose is to know what travel hacking credit cards I have applied for over time so that I don’t waste time on duplicates. I also use this to see what cards have annual fees. If a card has an annual fee and I know I want to close it before I have to pay, I put in an email reminder in my GoogleCalendar to inform me when I need to call to cancel the card. 65 Cards seems excessive and scary. Do all travel hackers have to do this? Absolutely not! The beauty of travel hacking is you can do as much or as little as you want. If you only want one trip, maybe you only open one card and that is the end of the story. You can still use the same strategies to know what card to apply for and implement the same tools to track and manage your spending and card. Others who are willing to be extra organized and careful with their money may choose to go to the extreme, like us. So what’s next? Can you just keep travel hacking and applying for credit cards endlessly? Sadly, we are starting to run out of the big sign up bonus credit card offers, since the sign up bonuses are the goal. So now, we can start looking into manufactured spending, which is much harder to do, but arguably necessary if we want to continue to wrack up massive amounts of points in short periods of time. We are not in this situation, but those who can charge business travel have it made as well. This is more of your stereotypical “Frequent Flyer Mile” type of loyalty program because you are earning points on paid travel. But hey, if you can personally charge a flight, hotel or other travel expenses and have your job or business reimburse you, that’s the way to go! After all, travel hacking is simply just a way to (yes, legally), work the system to your benefit! How One Couple Went from Beginner Travel Hackers to Experts Are Free Flights Possible? A Beginner’s Guide to Travel Hacking Credit Card Myths and Misconceptions for Travel Hackers RFID Credit Cards: What you don’t know WILL hurt you! Correction: ANDY is an organized person! I’d be a hot chaotic mess if I tried tried to do this all on my own! Thank God for amazing husbands! I’m certainly a one-travel-hacking-card kind of a girl. We only take a big trip every couple of years and take out a )% balance transfer card to cover the cost of the initial outlay and pay it off over time. You guys took it to the next level!! Check out TravelTheGlobe4Less.com She is THE expert of travel hacking in the UK! Although yes, you are correct that there aren’t as many opportunities, but they are still there! Oh wow, 65 credit cards sounds like really crazy. I don’t know how I would even remember all the pin codes. I think you are quite genious! Thanks for this post, I enjoyed both parts equally. Well, in the US, most cards are still signature and not pin, so we have that going for us! You two are seriously impressive hackers! Since you guys live out of the US are you still able to apply for cards from abroad? 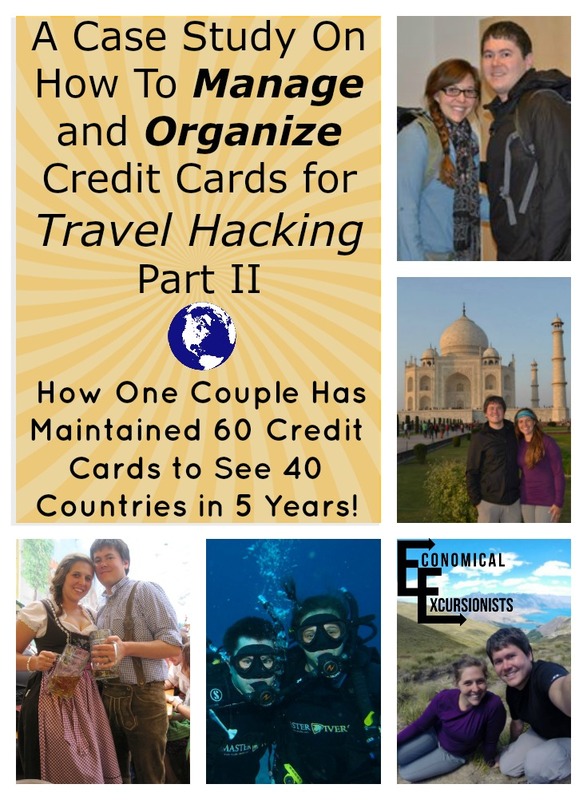 The main reason we haven’t gotten into the travel hacking game with credit cards is that we’ve been living out of the states for so long, so I’m curious to know more about how that works! Awesome question Jen! 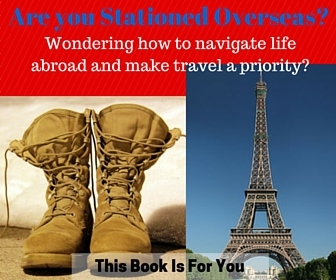 So, we are pretty lucky because we are with the military overseas, so we have US addresses. If you are American and have access to a US address, you can still do it. So, for you, it might look something like getting a card mailed to family or friends and then having them ship it to you in Cambodia. Holy crap. 65?! I’m afraid to even one card lol. Kudos to you guys, you’re using the system really well! I am just starting to look at getting a card for the additional bonus. I travel a lot for work so I use that card to build up points. I love that in two years, I have saved over 4,000 bucks off 1 card and that was before I got the job that lets me travel for work. Way to go Jennifer! We do the credit card method of accruing points but if you travel a lot for work, that is the perfect way to stash up on points! Either way, if you are looking at free future flights, it works right!? I presently have 14 in my “wallet” (I don’t carry them all! ), and am on a fairly regular system of applying for a new set of 3 every three months. There are 3 cards that I have kept long term. Some I only keep until the annual fee is due, while others I maintain if I am given a good offer to stay (i.e. waived fee, bonus points, or account credit). I am not one to leave the cards idle for 9 months after the 3 month minimum spend period, but everyone decides differently on that point. That’s awesome John! Gotta love free travel!